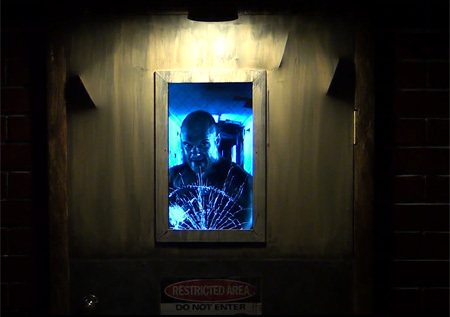 Terrifying animatronic door creates realistic illusion of an axe wielding killer who is trying to break through. 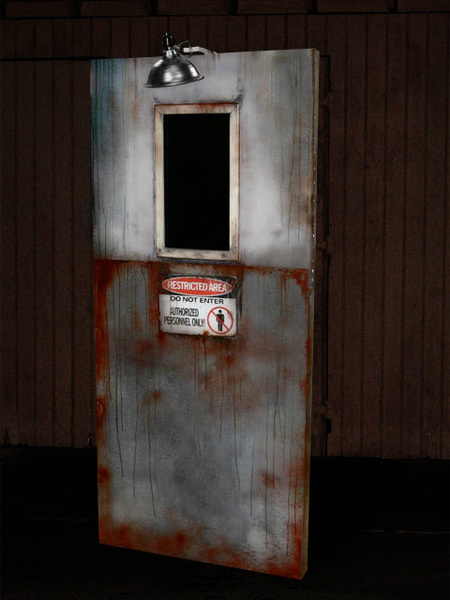 Priced at $3,500 USD, custom made prop door is equipped with 22 inch LCD monitor and all the necessary electronics and pneumatics. Axe killer and other video illusions were created by Hi-Rez Designs. 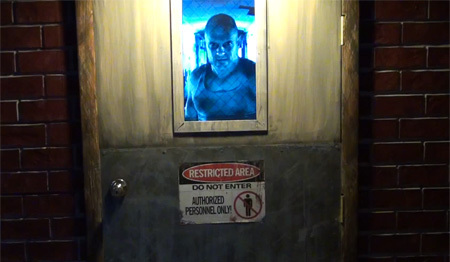 This door is perfect for haunted houses and Halloween parties. wasn’t impressed until the door got dented. then: WHOA! They should make some with Jason or the girl from the Exorcist. That would be even scarier! I want one for the front door!